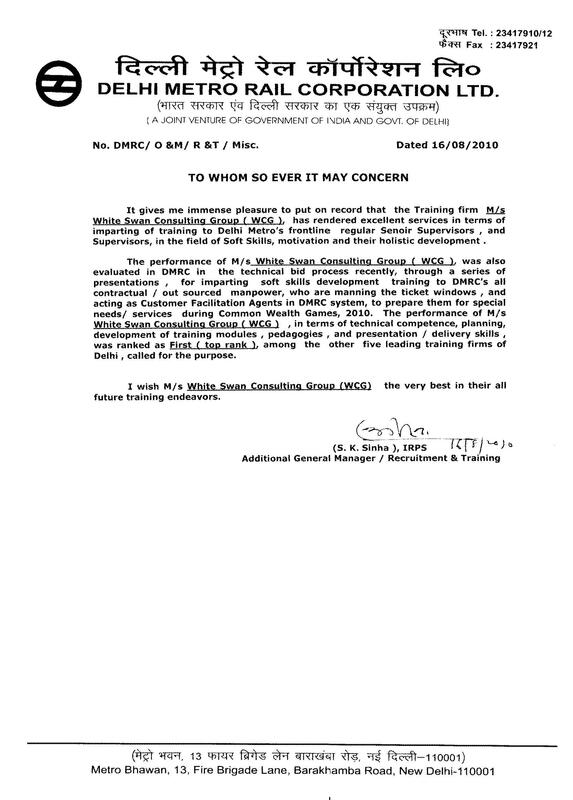 WCG was recognized and awarded the Global HRD Award 2013, for ‘Improving Quality of Working Life’, selected out of 25 countries, and the only company from India to receive this award in 2013, for its innovative work with almost 1000 contract workers of Shakurbasti, a drug infested area, at Delhi. The objective for these interventions was ‘to enhance the motivation of these workers and improve productivity of the organization, a Public Sector Undertaking. WCG through its innovative and 7 step systemic approach along with a specifically developed ‘An Économic Emotional Model’, for this project, was able to improve the motivation of the workers that led to 33% + improvement in productivity in just 2.5 months. Dr. Anjali Nigam was awarded the ‘Award for Outstanding Contribution’ 2013, by ISTD, for her continuous and untiring contribution to the field of Learning and Development, as ISTD’s National Council Member, Treasurer & Executive Committee Member of Delhi Chapter, consecutively for 5 years. During this period, she conducted many seminars, workshops and panel discussions for its members on ‘Innovation in learning’. Dr Nigam was the Program Director, for ISTD & IIT Delhi Regional Convention. She was the Program Director for ISTD’s National Level workshop on ‘Jan. 2015 Prevention of Sexual Harassment of Women as per Act 2013′. Dr Nigam started ‘Trainers & HR Consortium’ a free learning platform, for the industry and institutes, that led to great sharing of ‘innovation in learning’ in the industry. 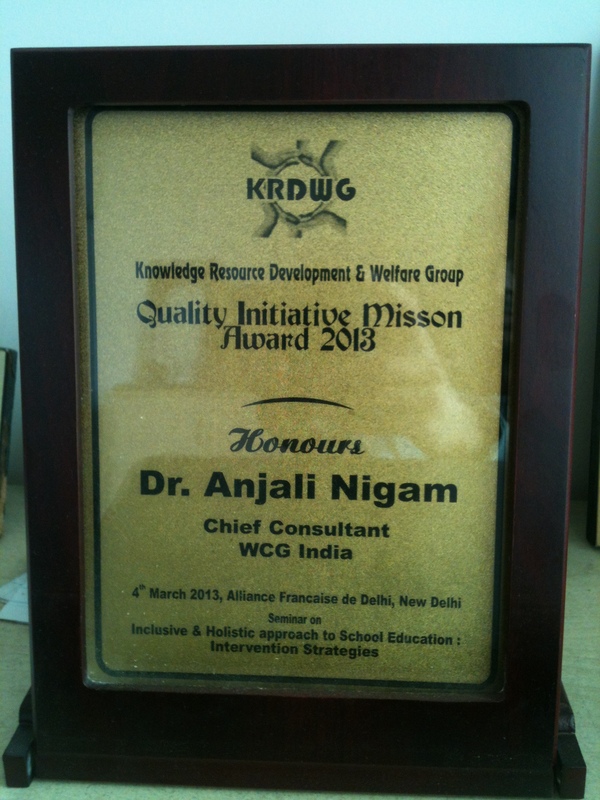 WCG’s CEO & Founder, Dr Anjali Nigam was recognized by this Award in 2013, for WCG’s work in ‘Women Empowerment, Women Safety, & Gender Sensitization’. 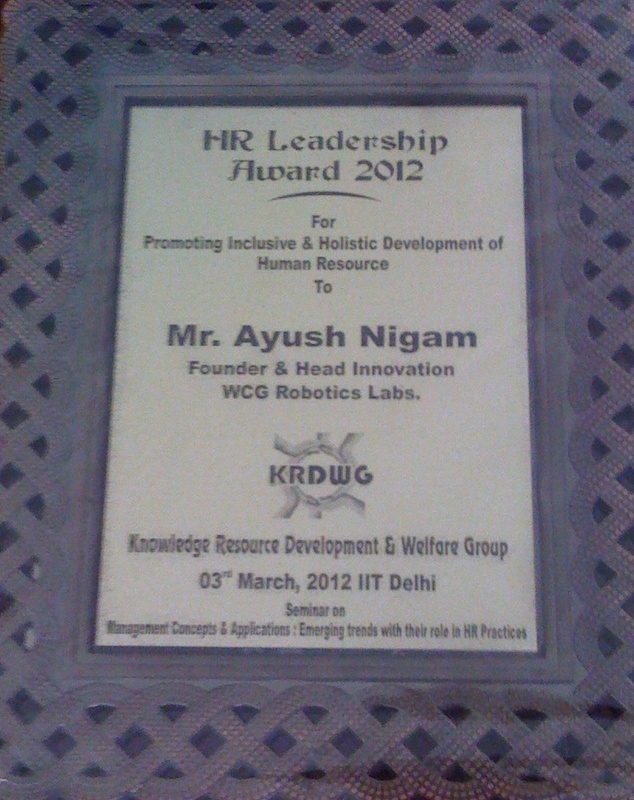 KRDWG is an IIT alumni organization working in field of encouraging people and organizations working for the betterment of the society.